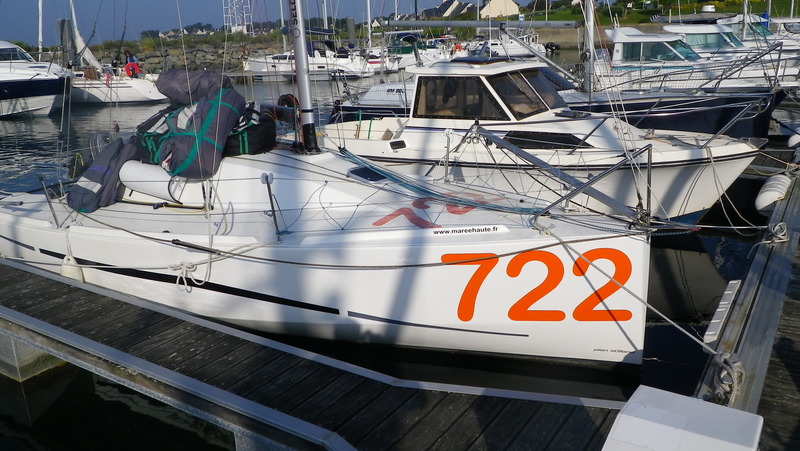 One weekend – 2200km driving and looking at some boats in between. 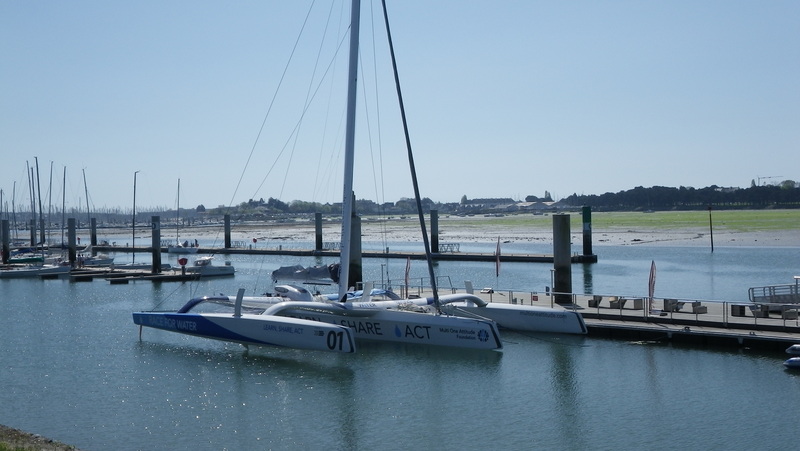 The purpose of the trip was to have a look at minis for sale and to see the whole setup in Lorient. We met a guy who is promoting a new series mini design nacira 6.50, the boat looks well thought threw with a couple of nice details and a powerful hullshape. 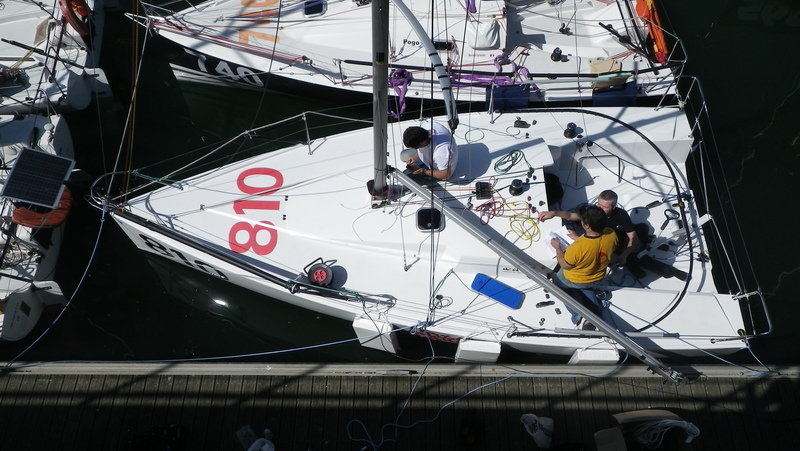 A bit further south we had a look at a 2007 built Dingo2 which is for sale with a whole bunch of equipement . I had to realize that all the second hand boats need quite a bit of work and money spent on them, also because of the rule changes for the next year like adding 400liters of floating volume inside the boat. So I am trying to figure out what is costing me less money in the long run, a new boat which can be sold on easy or a second hand boat which is fully equiped but needs work and replacing quite a bit of expensive bits, which might be more difficult to sell on because the boat would reach a bit of an age at the end of the project. 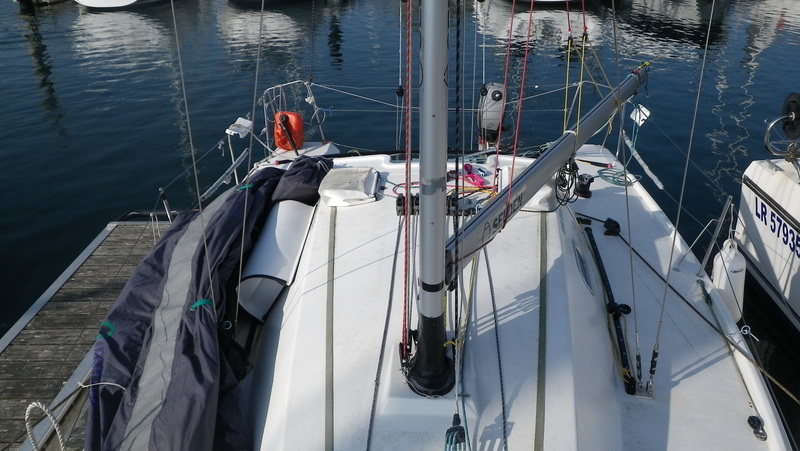 As soon as I have figured out which option suits my project better and how much time I have to keep earning money instead of sailing, I will spend a lot of money either on a new boat or buy a 2nd hand one. Nacira 6.50 new series mini design close to the latest prototypes. This entry was posted on April 17, 2011 by simonkoster. It was filed under Uncategorized .